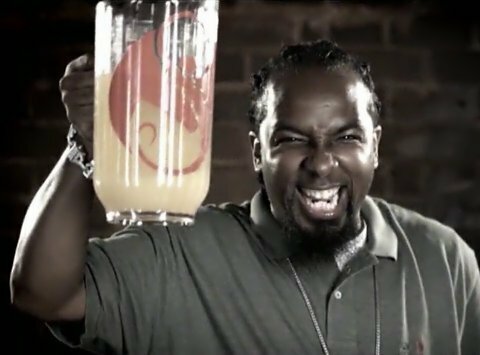 ‘Yeah, I Play My Music Loud’ – Celebrate Tech N9ne’s Birthday With This Playlist! With today marking the birthday of the Snake and Bat general Tech N9ne, we thought we’d give you guys 10 songs to listen to while we all celebrate the day the world got a little more Strange. So pour up some Caribou Lous, KC Teas, or Ghettosas, and enjoy the Tech N9ne Birthday Playlist! If you want to celebrate a birthday, this track is the obvious first choice. The message is clear, the beat is knockin’, and the general makes a dope appearance. What else could you want? We all know there’s gonna be plenty of these being poured up tonight in London. What’s that recipe again? 8. “Blur” – Tech N9ne ft. ¡MAYDAY! If you didn’t already know, this song is about a very real night that happened earlier this year. With Tech N9ne’s birthday happening in London tonight, can we expect a “Blur PT. 2”?? “Every night seem like we’re celebratin’ birthdays!” Well tonight he really is celebrating a birthday, so this is a perfect addition to the playlist! Things are about to get rrrrreal Abu Dhabi tonight, and if you don’t know what that means, just listen to Makzilla’s verse on this track. We have a feeling Tech is going to be ackin-a-donkey tonight and kickin’ it extra hard, so we had to include this one in the playlist. We picked this track based on the music video more than anything, as his third consecutive top 3 Rap release of 2012 has proven he’s already bubbled. We can only hope that Tech’s birthday will look something like the video to this track. This song is all about living life to the fullest, and what better day to do that then on your birthday? They gon’ blow this whole world up so Tech’s gonna party until then! It really is unfair to be such a muthafuckin’ rarity, so on this day we should appreciate just how rare of an emcee Tech N9ne is. Try to find someone that sounds like Tech N9ne. Go ahead, we’ll wait. We feel like this track perfectly encapsulates the last year for Tech N9ne. He’s had three consecutive projects hit the top 3 on rap charts, assembled an INSANE group of artists, carried out a record-breaking tour, made the Forbes power list, and continues to push boundaries musically. What’s left for the K.O.D.? I guess we’ll see! What did you think of this birthday playlist? What songs would you add?